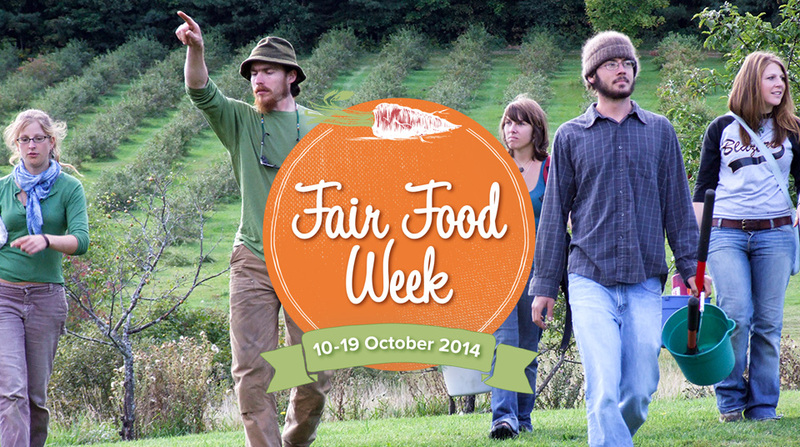 Fair Food Week – in your backyard this October! Food producers, eaters and community-based food organisations across Australia will celebrate Fair Food Week this year from October 16 to 25, led by the Australian Food Sovereignty Alliance (AFSA). In 2015, the International Year of Soils, nationwide activities will have a strong focus on healthy and regenerative agriculture in both rural and urban areas, with community gardens playing a key role. AFSA President Tammi Jonas announced this week that the Australian City Farms and Community Garden Network would be contributing its support to Fair Food Week 2015. 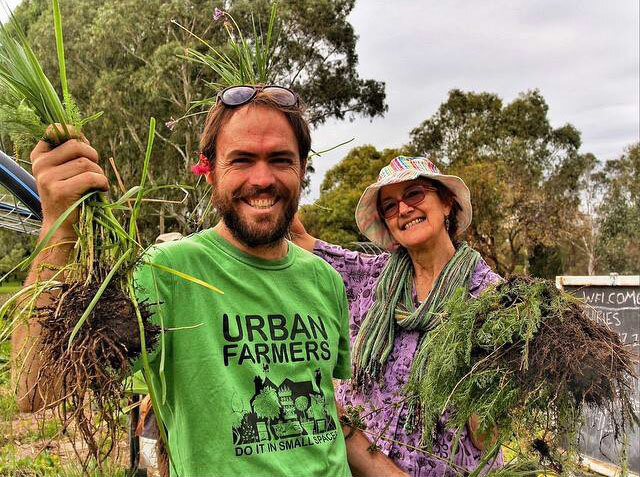 “Community gardeners are at the forefront of the connected food system – the Fair Food system – that millions of Australians want and are embracing” said Tammi. Many community gardens and city farms have taken part in Fair Food Week for the past two years with garden lunches, workshops, seed swaps and movie nights. This year Australian City Farms & Community Gardens Network (ACFCGN) President Jane Mowbray is urging even more members to participate. For Jane and other members of the ACFCGN Fair Food Week is a welcome opportunity to applaud those who are offering local, socially and environmentally just alternatives to unhealthy food produced through industrial methods. Established in 2013, Fair Food Week provides an opportunity for local communities in every state and territory to showcase how farmers, gardeners, chefs and community-based food enterprises are working hard to ensure access to fresh, local and affordable produce to all Australians. Communities are encouraged to organise events according to local priorities. In previous years events have ranged from slow cooking and underground restaurants to free training in skills such as making sourdough bread and butchering. 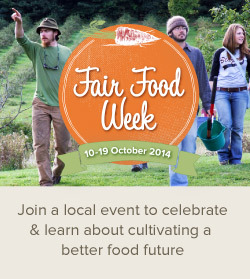 AFSA President Tammi Jonas sees Fair Food Week 2015 as a “unique opportunity for the food movement to come together, recognise and celebrate each other and our many achievements”. “And this year we look forward to working closely with the ACFCGN to make Fair Food Week 2015 a particularly outstanding success” she adds. ACFCGN President Jane Mowbray and friend during national meeting of Australian City Farms & Community Gardens Network in Adelaide, 2015. It is with great pleasure and humility that I present this years abridged account of our activities and achievements as a social movement. We have achieved much in the last year, which has been a consolidation and advancement of projects and aims that we collectively started some 4 short years ago. The list of activities presented by our extraordinary and indefatigable coordinator Nick Rose is impressive for an all-volunteer organisation running on less than a shoe string budget. AFSA, as an alliance promoting food sovereignty in Australia, has I believe shifted the debate on food and food systems in this country. Food sovereignty was a virtually unknown concept or idea 4 years ago, save for a few academics and front line food activists. Now food sovereignty has entered the vernacular and is being used by reporters, politicians, agriculture and food leaders and advocates all over the country. This is some achievement and one that is proof of the power of alliances and allies. We, AFSA and our alliance partners, are much more powerful than we realise. We hold the ethical high ground of working for the common good, AND we have practical plans and road maps of how to get there. This is especially obvious with our People's Food Plan and our support for and understanding of agroecology. Incidentally, there are moves afoot for Australia to have its first tertiary agroecology course, which is great news. A word of caution, though. 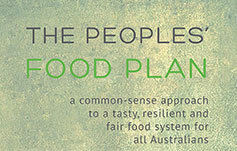 As food sovereignty enters the mainstream language in Australia, it is important that we collectively guard against food sovereignty and agroecology being co-opted by those who wish to use it for personal gain and profit. We need to hold those who would do so to account and correct them - and I am thinking of politicians and mainstream agriculture and food organisations. Both these groups would love to harness the power of a social movement and alliance such as ours, as it would give them the credibility that most so obviously lack. As I write, the Fair Food documentary has been completed and is due for release in Sydney and Melbourne in the first week of December. As you will appreciated AFSA are very excited about this and we all look forward to see it - yes that's right, your AFSA committee haven't seen the finished doco yet either, even though we have been very involved in the entire process, and we can't wait! There will be a full national release scheduled early in the new year, complete with community screening options. In short we want to get this out and seen as far and wide as possible. 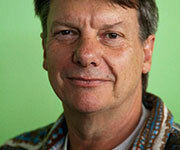 Fair Food Farmers United is a new farmer only organisation launched this year by AFSA. As a farmer this is a project close to my heart, as the lack of genuine national farmer representation is a glaring omission. It is early days of this exciting development and we encourage you to ask all the farmers you know to be a part of this, and help develop the organisations goals and objectives - obviously this will be within a food sovereignty and agroecology framework and principles. Thanks, too, to the Alliance's Communciations Group who maintain our connections to other networks. They also keep information flowing to Alliance members through our nine eNewsletters over the year. To keep people coming back to our website and to attract new visitors, it's important to post new material online regularly. So it's heartening that over the past 12 months, something like 50 blogs as well as a media releases have been posted to our website. It's also heartening to look at the stats and find that we've had an average of 115 visits a day to our site, making a total of 34,000 website visits this year. Using the Alliance's website and through deft use of social media, the Communciations Group produced the graphics and text and tweaked the website's coding to get out the news of Fair Food Week 2014. With 97 events run over the week of 10-19 October, this year's was the second Fair Food Week and the event shows promise so long as we can keep it interesting and attractive to people out there who are actually creating the type of fair food system we want. This year AFSA also became internationally active and recognised as a movement leader for food sovereignty in Australia. We are now a part of the International Planning Committee for food sovereignty and have attended several meetings to advance the global cause. We, or more specifically Fair Food Farmers, have also been invited as observers to La Via Campesina, and this is an important first step in a long process of potentially joining the world's largest peasant farmer organisation. Our voice was also heard at the UN's Committee on world Food Security in Rome as Australasian delegate. 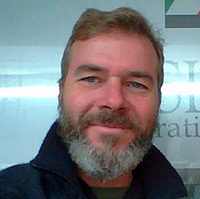 And last but not least, Nick Rose carried the AFSA flag to Canada, the USA and Latin America as part of his Churchill Fellowship studying food sovereignty. All great news as Australia is no longer known as 'the lost continent' in global food sovereignty circles. AFSA members are also currently writing a book on the emergence of food sovereignty in Australia to be released next year, so stay tuned for that too. There was so much happening during the year on the food sovereignty front that it is hard to mention all activities, but you can track this via our facebook page and website. Incidentally our facebook page reached over 5,000 likes in October, which is impressive for a single-minded food sovereignty page without cute dogs and cats! Seriously though, there is a sense within your committee, and among other frontline advocates and activists, that food sovereignty in Australia and AFSA in particular is on the verge of a genuinely powerful mass movement - a shift in the way people relate to food, agriculture and the environment. As we stand on the threshold of an exciting year ahead with great potential, it is important to thank all the volunteers who have contributed over the last year. But the truth is I don't want to single anyone out for special recognition as this is genuinely a collective effort, but I must mention your committee and the fantastic commitment shown by all. AFSA is only as good as the members of the committee who walk the talk of members. In that regard your committee is extraordinary, working countless hours for the common good, unpaid and usually without recognition. So please, keep up your membership and encourage others to join, because it is on your solidarity that AFSA depends to continue the good work. And speaking of committee, we have an equally great bunch of highly talented people who want to be part of AFSA's future. They are standing for election at this years agm, so please read their bios, be impressed and vote! I am stepping down as president to make way for this talent, and hope to remain part of the great team I see forming. There will be no losers in this election either, as those who aren't part of the official 7 member committee will be encouraged to be part of the process via subcommittees or co-opted post the new committee's deliberations - we want the talents and commitment of all applicants. So thank you all for last few years, we have achieved some extraordinary results together, and as they say, "the best is yet to come".